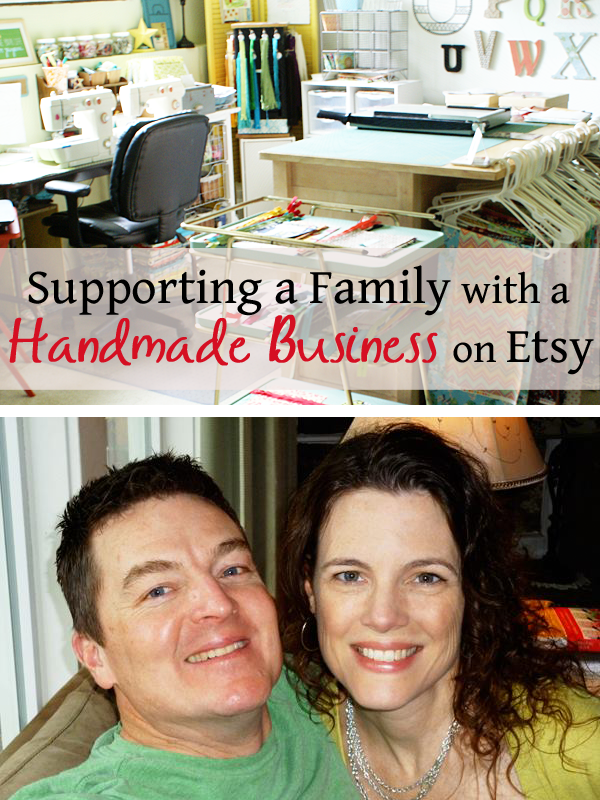 I love having the opportunity to tell our story of how selling on Etsy full time has supported the six of us for the past 2 1/2 years. We work hard with sometimes weird hours, and we live on a modest income, but we are so grateful for the more connected and contented way of life that has resulted for our family. We go camping instead of to Disneyland, shop clearance racks and thrift stores instead of the mall, and use a converter box + antenna instead of cable. But we honestly wouldn’t trade a single thing. If case you haven’t heard our story–or only know bits and pieces–you can read more over at Money Saving Mom. If you have any questions at all, I would love to hear from you!